A summer vacation is filled with a lot of opportunities to sit back and relax, but it is one of the best times to earn extra cash and build up valuable skills. You have a wonderful chance to gain useful experience and increase your job prospects after graduation. There are many fun and student-friendly positions to choose from that provide real-world experience and allow you to make new friends. The following jobs offer flexible working hours and usually don’t require some previous experience. This kind of a summer job is not just great because it looks cool and you hang out on the beach all day. It’s also a job that requires maturity, responsibility and effective team work. 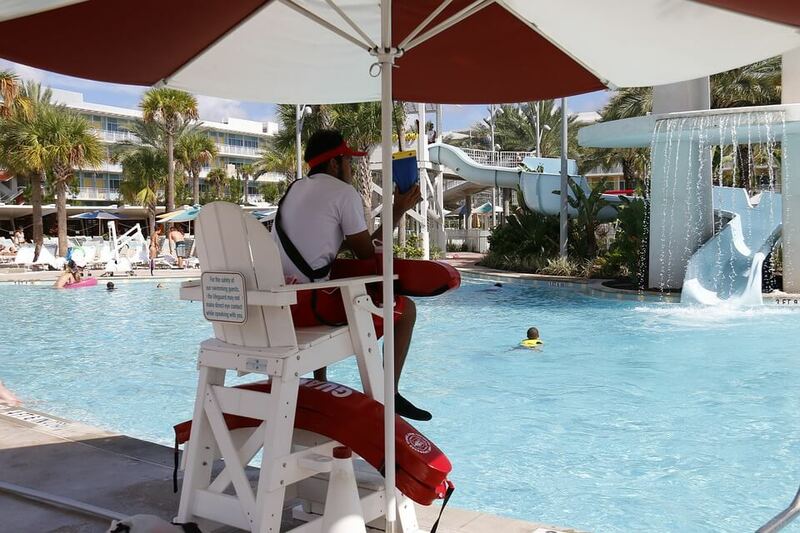 Lifeguarding builds your interpersonal skills and demonstrates your ability to stay calm in the emergency situations. No doubt, these skills will look great on your resume, especially if you decide to enter the healthcare field. Working at a summer camp is an amazing chance to gain the experience in leadership, teaching and cooperating with children. It’s a good choice for students who want to go into education, tourism or social services. You will receive tons of practical experience and have a chance to earn good money – the medium wage for this work is $15 per hour. If you enjoy the companionship of dogs, consider working as a dog walker. In addition to spending time with these lovely pets, you will get outside a lot and stay in shape. This may be a great choice if you plan a career in veterinary services or just look for the experience of working with both animals and people. If you enjoy spending time outdoors and like flowers and plants, a seasonal job as a landscaper is what you should consider. You may work at parks or apartment complexes to keep the outside areas green and beautiful. This job will allow you to apply the knowledge you’ve got at school and discover new techniques along the way. Museums, zoos, botanical gardens and other attractions need many tour guides in the summer months when family vacations are at an all-time high. If you are interested in architecture, history, art, inquire the seasonal tour guide positions. It will improve your leadership and public speaking skills as you will communicate with thousands of guests during a few months. Gyms and recreational centers need more staff during the summer months. As a fitness instructor, you will lead group classes, provide guidance and help others achieve their fitness goals. This job will help you learn a lot about leadership while coaching people at the gym. Retail merchandisers are responsible for making the product’s presence visually appealing and keeping plenty of items in stock. If you are thinking about entering marketing and advertising careers, you can get a feel of how the right product placement can affect an increase in sales. Working as a freelance writer will teach you invaluable research and writing skills. You will learn how to write a concise copy and engage the readers from the first sentences. Moreover, freelance writers don’t follow the set schedule, so you’ll be able to choose the working hours. Summer is one of the most demanded time for tutors. Tutors can work privately or may run classes in a large study group. It is also possible to provide online tutoring services. Consider this position if you want to develop your leadership skills and strengthen the subject matter expertise. As a photographer, you’ll be able to attend fun summer events, including weddings, parades, trade shows, parties and other occasions that need to be documented through the lens. Obviously, this position is the best one for photography, video or film majors. This entry was posted in College Life, Productivity Tips. Bookmark the permalink. Too Many Assignments? Let our essay writing experts help you!